At Scoop it we absorb the persona of the ghost we are writing us. Esentially if we are writing as a banker, we would transform our persona to use the language that a banker would use in daily life or for a professional write up. We provide complete blog writing services. From managing the blog to understanding your business to creating top quality content to posting we handle it all for you. Our blog writers are all experts across different industries as well as niches which enables us to transform into this wide array of personas. We are also ready to provide the best Seo alignment services and all our content will be hundred percent unique as well as original. If for some reason you are not satisfied with our content then we will provide you with unlimited revisions to ensure that you are totally satisfied. Our expert blog writers know how to make a real difference to your company. They write content that is conversational and engaging and designed to attract and hold the reader’s attention. We start by understanding what our clients want and then we create blogs that are focused on a particular target audience. Our ghost writing services will make it easy for you to meet your publishing targets. We do everything for you including planning and creating content that is professional and of a very high quality. We are very good at what we do and our long list of satisfied customers are testament to our qualities and abilities. Our ghost writing services are going to take your ideas and transform them into perfect content. Our team of writers can handle all kinds of ghost writing tasks including producing songs and writing speeches as well as doing anything that requires you to put words to paper. We are committed to helping you achieve your goals and look forward to every opportunity to serve you. So, if you are looking for high quality and original blog content or any persona or audience based ghost writing, then get in touch with us. Our prices are very competitive. We are motivated by a strong work ethic and at the same time we are very professional and will spare no effort to ensure total customer satisfaction. Whatever is the size of your business you can count on us to provide you with the best quality and very original blogs. Best of all, exemplary service does not have to cost an arm and a leg. There’s nothing more effective in the world of traditional and web journalism than a well crafted press release. Not only does it capture a message clearly but it also gives businesses a sense of professionalism. Although their effectiveness has changed recently in terms of Seo, they still a prove to be a great way to get the word out as well as to build a diverse link profile. This is why we believe you should hand over all your press release needs to our team of dedicated copywriters. 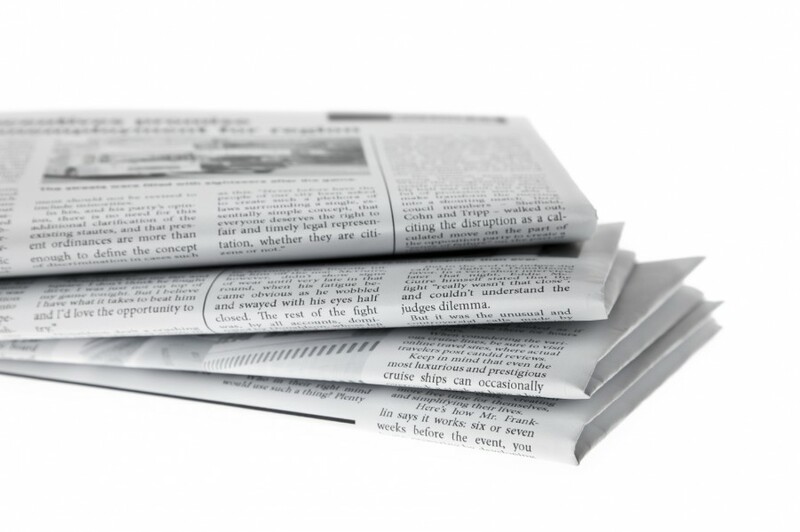 What does an effective press release entail? It should be well formatted. A press release captures the essence of professionalism and should therefore be well edited and free of error. Every detail of the release should therefore be well coordinated in order to meet the high standards that media outlets expect. It should be optimized. The digital revolution has brought along with it a number of changes that only experienced copywriters can reveal. These include search engine optimization, encryption and a host of other standards. An effective press release in these modern times should take all these changes into account. Why should I entrust a copy-writing firm with my press release needs? Professionalism. Our copywriters are highly skilled in the art of putting together an effective press release. They are well trained and have experience across a variety of industries and their related media outlets. This ensures that all the work done is of the highest quality thereby increasing its effectiveness. If copywriting was a sport our team would have probably won the Olympic gold for it. Save time and money. Putting together press releases and distributing them is a time consuming job, if you are involved in the running and operation of a business then you’ll probably not have time for it. It is therefore more convenient to hand over all your needs for us to fulfill. Our rates are fair and flexible enabling even small business owners to enjoy a range of services without burning a hole through your pocket. Distribution.This is a factor that most businesses never take into account until the last minute. Getting your press release onto blogs, websites, magazines and other related news agencies won’t be easy without a few connections. Save yourself some energy and let us go through that trouble for you. Reliability. Chances are that once you’ve put out one press release your business will need more in the future. In this case we are happy to offer your business continued services in the long run. Copywriting is the art of using words to express the benefits of buying a particular product or service. Essentially, every piece of advertising is a form of copywriting. The newsletters, billboards, magazine ads, TV and radio commercials is all copywriting. Effective copywriting helps marketers to convert prospects to buyers using the word of mouth. Good content will obviously impress customers and boost your sales. On the contrary, a badly written content turn away potential customers even if a brand is carefully manicured. Apart from increasing the look and feel of a brand , it’s important to invest in good content as it is the one doing the talking. You can design your website beautifully but if the content is done unprofessionally, you will destroy your brand’s trust and undermine your reputation a great deal. A professional and effective content builds trust and boosts reputation. For you to beat your competition in online business, you have to either master the art of copywriting yourself or hire a professional copywriter to do the job for you. One certain thing is that you won’t make much profit without a professionally written and decent sales page. The words you use will show potential customers the benefits of buying your products or services and for this reason, you need a good copywriter. All successful marketers make use of copywriting. Whether you are creating a drop page or building a website, the content must be catchy enough to attract customers. This is especially true for online businesses due to the fact that people aren’t seeing the kind of products or services they are selling before they buy. A good copy increases customer loyalty as it confirms to customers that they have made a good decision in choosing to do business with you. #Tells prospects the benefits of buying your product or service. Well written content or sales copy has the power to attract lots of visitors to a website to buy products and services. The same content can be placed in various online platforms to drive traffic to your site. A well written business copy means making more profits for your business and attracting the attention of new customers. Therefore website owners need to invest in professional copywriting service because without a poorly written sales copy may not drive any traffic to your website and this could bring huge losses. With top-notch articles and sales pages driving quality traffic to your website, it becomes very easy to outdo all your competitors. Overall, copywriting has huge benefits for large, small, online and offline businesses. You may have great ideas but lack the expertise to put them in words that can attract the attention of customers. Therefore it’s in the best interest of business owners to hire a qualified a professional copywriter who can implement your ideas into effective sales pieces. Whether you are on a budget or not, there is an affordable copywriter out there who can create good content for you and help you draw customers, improve your sales and form a strong relationship with your customers.